Location Dundas West & Royal York, Toronto. Size / Program 21-storey condominium, 80 stacked townhouses, 12-storey mixed use building with 30,000 square feet of retail, and over 20,000 square feet of onsite parkland. Architecture Wallman Architects. Interior Design Bryon Patton Interior Design. Development Partner Northam Realty Advisors. Status Under construction. 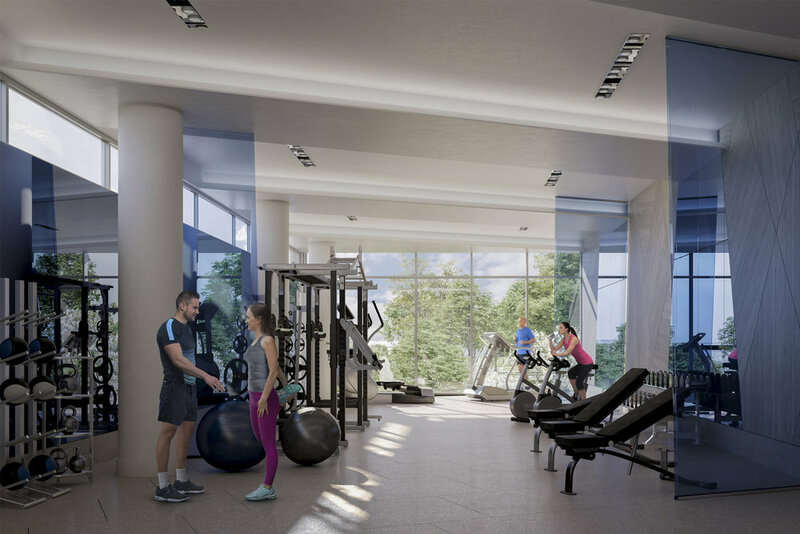 In the heart of Toronto’s prestigious Kingsway neighbourhood, Urban Capital has created a vision for an elegant, classically modern community perched above the Humber River Valley, with expansive onsite parkland and renaturalization of the surrounding conservation lands. Architecture and interior design are informed by the international style, relying on clean lines and an interplay with the natural environment. 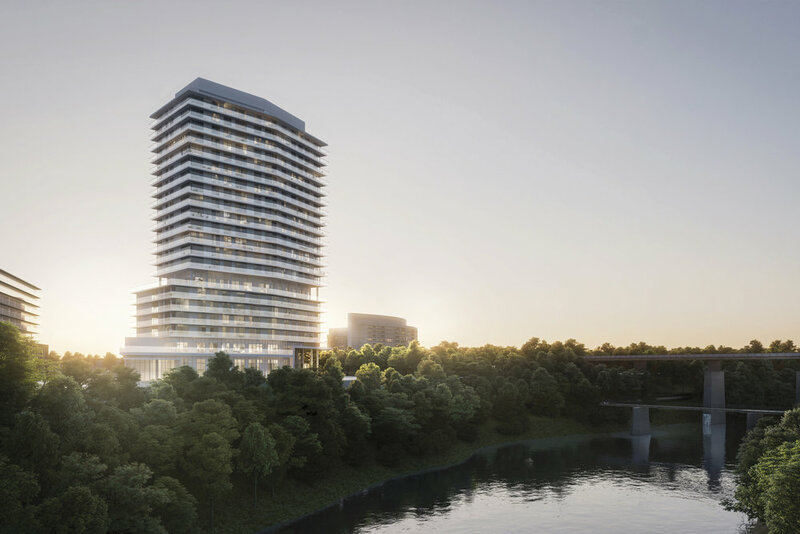 Condominium suites feature sweeping balconies over the Humber River, with views to the adjacent parks, Lambton Golf Course and the downtown skyline as the backdrop.